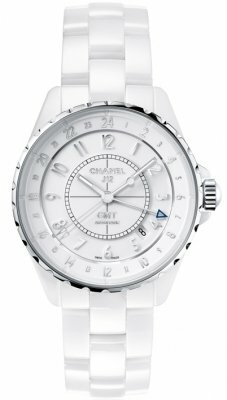 Buy a Chanel watch from Prestige Time and get discounted prices, great service & free shipping. Large selection in stock. Chanel watches are a popular luxury watch brand that are at the cutting edge in terms of design just as they are with their off the rack and haute couture fashion lines. Their timepieces blend graphic lines with elements and symbols that Mademoiselle Chanel held dear, especially in the Chanel watches for women. Chanel has long been known as an elegant fashion and jewelry brand that was founded by the late Coco Chanel. Chanel Watches moved the company into a new arena. 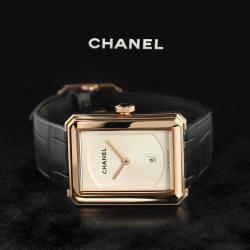 Chanel watches launched the J12 watch range in 1999 to major success. 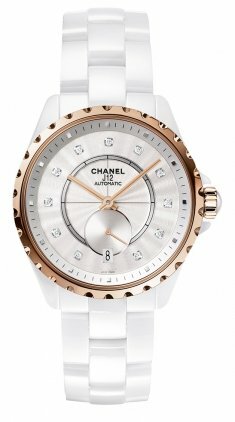 The J12 watch collection contains Chanel's first unisex watch and has a unique style that has become widely recognized. The J12 watches are Chanel's most popular watch series with such features as automatic movement, chronographs, and high tech ceramic fused with steel, gold, and other materials. 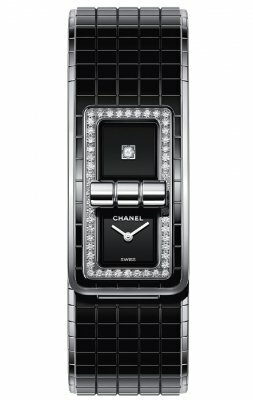 Chanel Watches also produces many luxury watches that they have infused with diamonds in the bezel and on other watch parts. 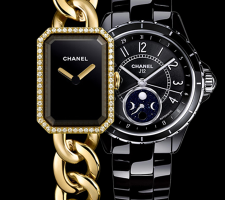 The Chanel watch range is known for its black and white high-tech Chanel J12 ceramic watches worn by celebrities such as Sharon Osbourne, Kelly Osbourne, Fearn Cotton, Dale Winton and others.